Is Your Financial Institution Designing Technology and Messaging for the Future? Technology is not a drug. But it might as well be. Recent studies show technology is not only changing how we perform tasks, it is affecting our thoughts, desires, and behaviors. 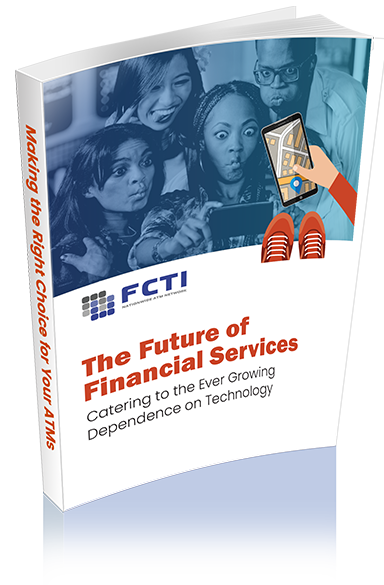 Find out more in this FREE white paper from FCTI! Despite the label "digital natives" Millennials and Gen Z show varying degrees of real technological knowledge. Because digital dependence does not necessarily equate to digitally savvy. While the up-and-comers may demand personalized messages and "more control" of their finances, there might be more of a learning curve than FinTech wants you to believe. Dependent versus savvy - which is which? Changing desires and digital interactions. Make sure your institution is designing tools and messages that reach the ever-growing digitally dependent consumer. Download the FREE white paper now! Download "The Future of Financial Services: Catering to the Ever-Growing Dependence on Technology" White Paper!